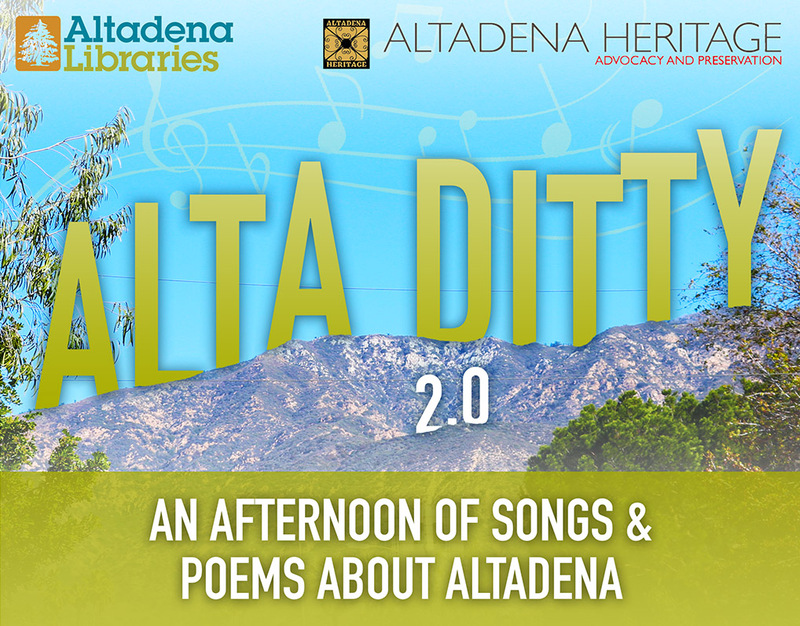 Altadena Heritage and the Altadena Libraries are partnering up to present performances by some of Altadens’s best-known singer/songwriters, musicians, poets, and other creative folks in our community! Have a song or poem in your heart? Contact us by March 20 for audition details.